Waking up early is not very easy, but some applications may help in this mission. Has option that uses the display lighting, connects with the videos YouTube , makes the user take steps for the house or even register a selfie to end the alarm. That way you can lift more fun. Curious? 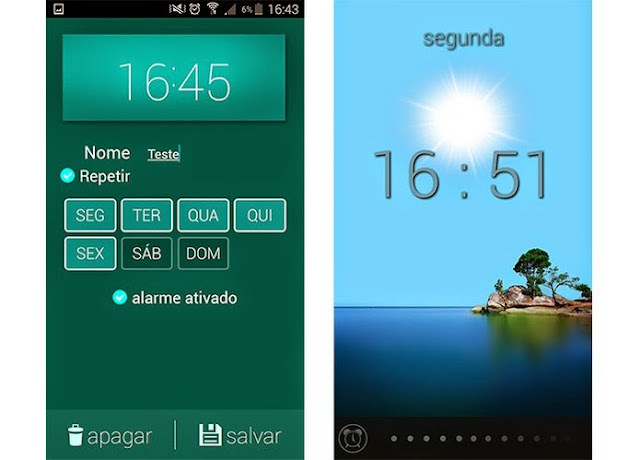 So check out the list with five free options cam alarm clocks for Android . 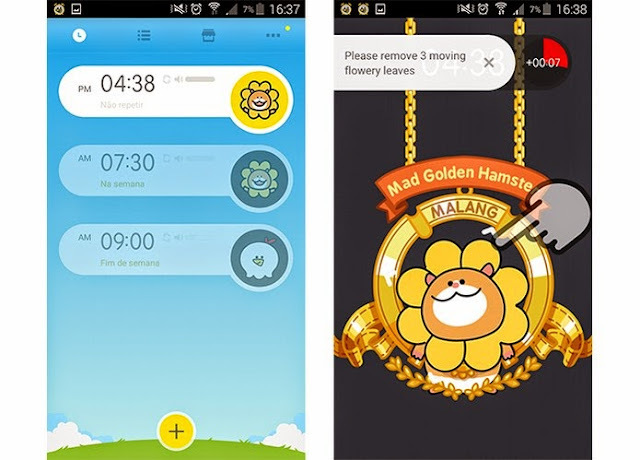 The application can help many users who have difficulty getting out of bed. With it, the alarm can only be terminated when a selfie with open eyes is recorded. 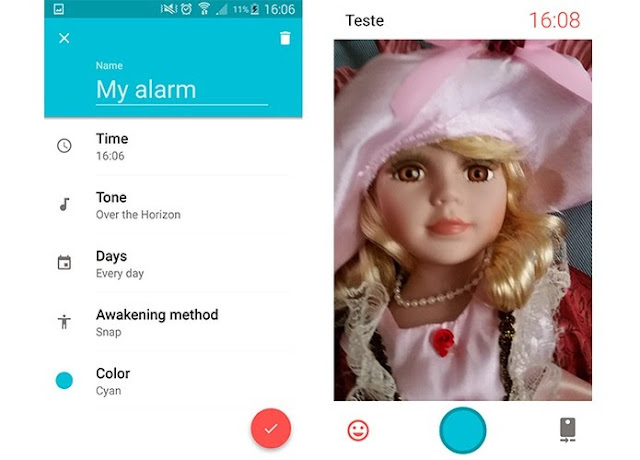 In each new alarm, you can set the time, color identification, name, favorite music to the touch, and activate or turn off this feature to take pictures. The app still keeps the photos in an internal gallery. The Snap Me Up is available for devices Android . This alarm clock is more demanding than many competitors. That's because it stipulates how many steps you have to give to wake up at the right time: only in this way the alarm stops ringing. Interestingly, the user can customize according to room size, recording a minimum of 5 steps. The Walk Me Up uses the phone's sensors to know when the user begins to walk and is available for Android. Want to wake up to your favorite music? 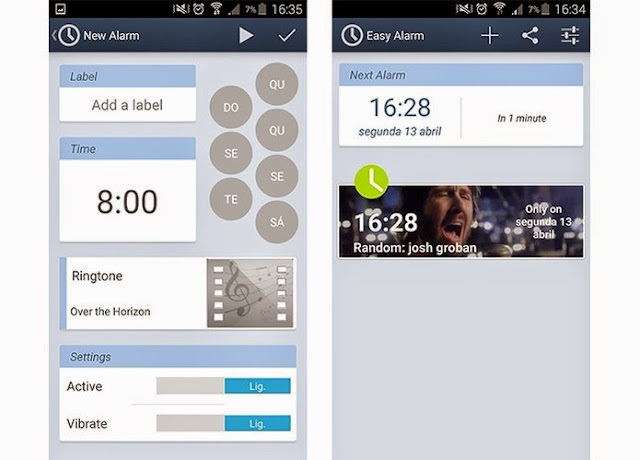 So Easy Alarm can help for free. The app allows you to synchronize touch with YouTube videos in a simple way. Remember that you must have an active Internet connection on Android for the video to be displayed. Just add the basic information such as hours, days of the week, title and choose one of the YouTube videos. In addition, the user can select songs and videos in mobile gallery and more. The app AlarmMon is a very fun option to start the day. In it, the user needs to interact with characters, so that the custom alarm sound is closed. This makes it easier to wake up in the morning, instead of playing in various nap times. Simply select one of the characters, add the time and longer to start the registration of alarms. 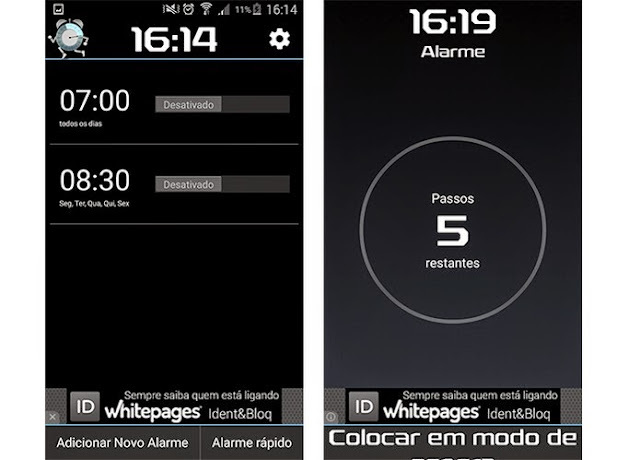 The AlarmMon is available for free for Android. Whether about waking up with a luminous effect? This is the proposal alarm Glimmer . To begin, add the time, the alert name and register. The app operates differently from traditional alarms and can be very effective, especially for those who sleep in darker environments. It simulates a sunrise using the display backlight before it starts ringing the buzzer. Thus, the user is awakened more subtly. The Glimmer is available for Android.